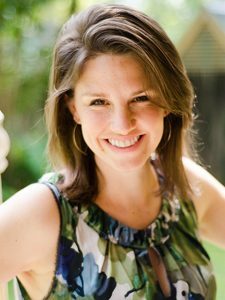 Few entrepreneurs I’ve met are as artistic and passionate as Katie Guiliano, my guest for this episode. Her company, Hosanna Revival, focuses on hand-painted and artistic ESV Bibles. What started out as a college dorm venture has transitioned into a production-based art Bible company that boasts over 50,000 Instagram followers and a sold-out Etsy shop. On this episode of 10X Profits, Katie and I talk about how she refined her craft and the importance of having a “headspace of confidence.” Since founding Hosanna Revival in 2015, Katie has learned to balance art, business, customer service, and a manageable workload in such a way that will leave you inspired and determined to follow your own passions. We discuss the dilemma of low profits associated with mass production of artistic products. Katie also shares her best advice for aspiring entrepreneurs and creators. If you have a desire to share your passion project with the world but have questions about how to do so, pay close attention to this episode. This conversation won’t disappoint – listen now! While studying business at the University of Cincinnati, Katie saw a unique opportunity to spread the Gospel through creative hand painted Bibles. She began by operating out of a single Etsy shop and her own personal Instagram account. Experimenting with different color palates, buying out stocks of ESV Bibles, and balancing full-time academia with art were her daily tasks for the initial few months of operation. It all changed when Hosanna Revival was featured on a notable creator Instagram account, She Paints Truth. Within one month Katie went from taking 2-3 orders per week to over 75 per week. That’s when she realized 100-hour workweeks weren’t sustainable and something had to change. The biggest challenge Katie had to overcome was realizing that her art and products were valuable and that she could contribute to the creative industry in a meaningful way. She explains, “I had to commit to a headspace of confidence in order to overcome all the insecurities.” This confidence allowed her to wholeheartedly go after her ambitious sales goals. Katie’s story can only be fully understood by listening to this episode, so don’t miss it. Art, creative energy, and buyers are unlimited, so break out of your poverty mindset! In my conversation with Katie, I explain the idea of living within a poverty mindset. It’s best understood through the pie metaphor – always asking the question, “How much of the pie can my business take from others?” But creative businesses don’t operate in this way! They simply bake a bigger pie. Only 8% of people consider themselves to be frugal and make decisions based on money alone. People value creativity and quality products that bring them joy. 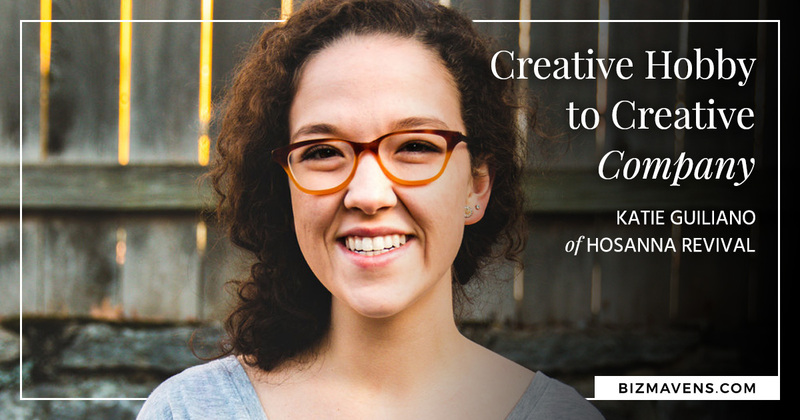 Once Katie realized that her niche market would always value her product it gave her the freedom to raise her prices and seek additional opportunities to share her passion project with the world. Do you recognize a poverty mindset in yourself at all? Listen to our conversation for inspiration about how to overcome it! Katie explains that the biggest fear creators have with production-based business models is that they don’t want to “take the making out of making.” Katie found a production company who would print her art on standard ESV Bibles, allowing her the freedom to take fewer, higher priced custom art Bible orders. She has found the balance between a scalable business model and passion project. When I asked Katie to share her greatest words of wisdom for other entrepreneurs, she explained the importance of “following what makes your heart sing,” and recognizing your greatest gifts you have to share with the world. “Be brave! Starting a business is hard, but it’s 100% worth it,” Katie exclaims. You don’t want to miss the rest of her insights, so be sure to listen to this episode of 10X Profits.